The new environmentally friendly process. The easier way to make your company environmentally friendly. 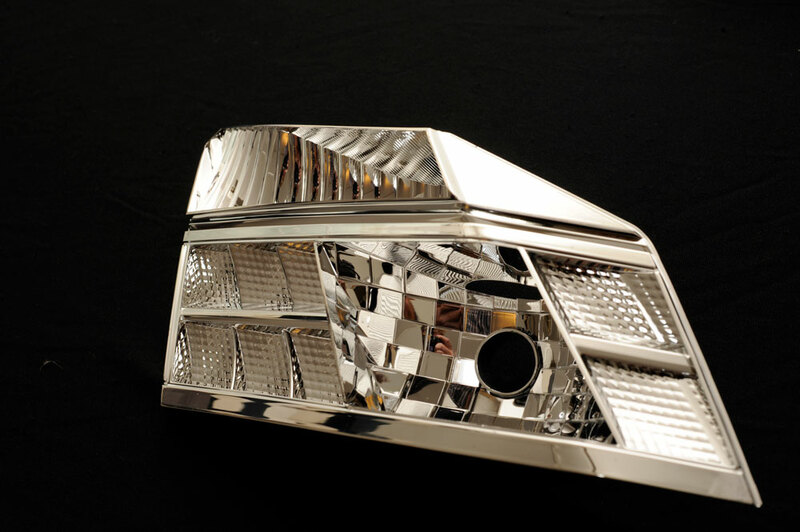 YTAB now launches a new green, environmentally friendly chroming process. Ecochrome is a Green Chroming Process that eliminates the Cr 6+ used for conventional wet electroplating processes. 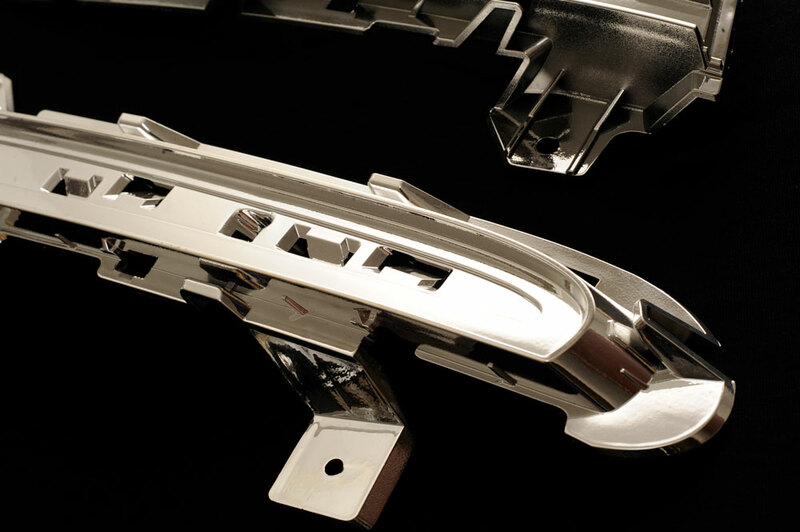 The absence of corrosion risk is one of the main advantages of the ecochroming process. 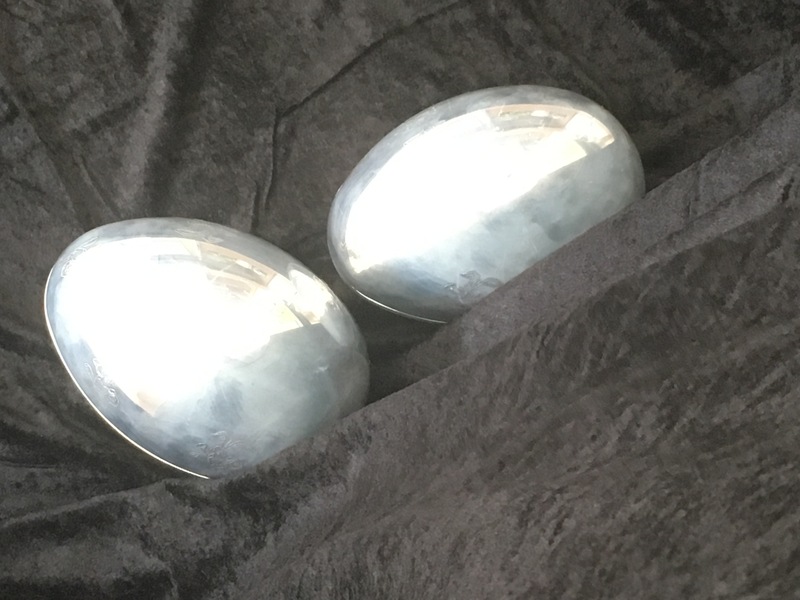 No copper, no nickel, just pure chrome in the chroming layer. 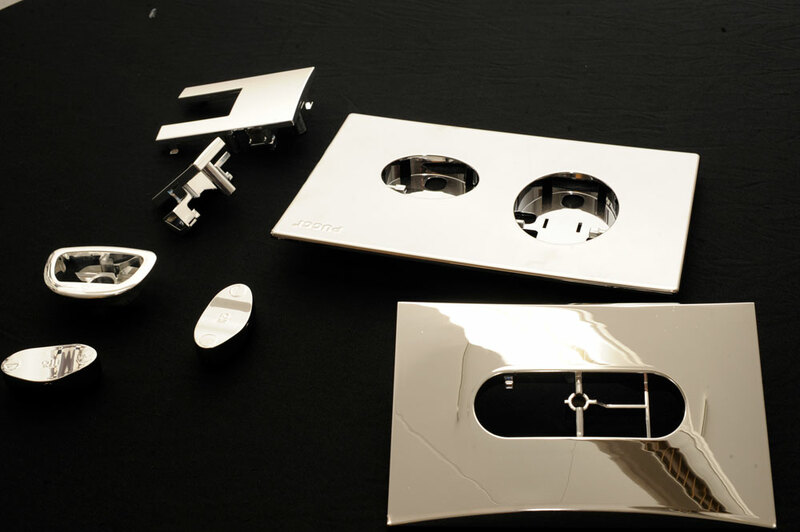 A process that provides good adhesion on different thermoplastics and light metal alloys substrates. Ecochrome simply provides excellent resistance in corrosion- and humidity tests. 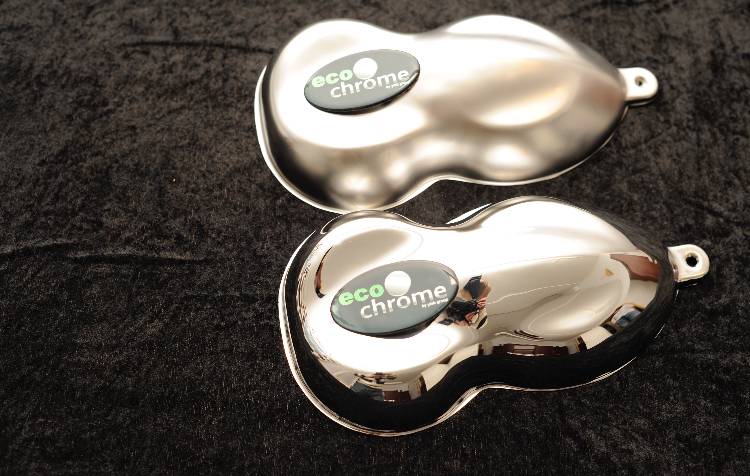 All parts coated with ecochrome are fully recyclable. Ecochrome consists of a two-layer system that combines a non-solvent Zero VOC’s UV curing basecoat layer with a high performance pure chrome layer. 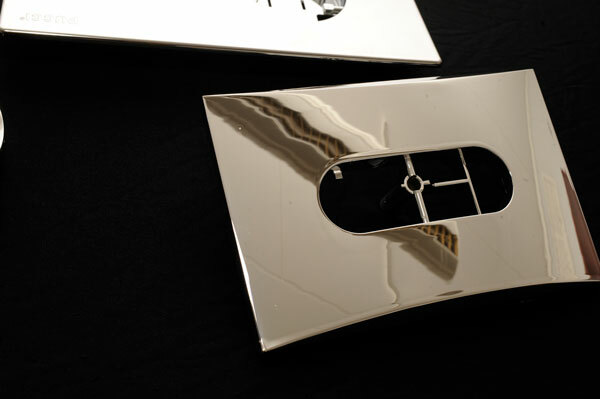 The base coat serves to equalize irregularitie of the molded plastic substrate with a high glossy ”levelled” finish. Together with the traditional bright, satin or blackish chrome finishing, ecochrome offers the possibility to obtain stainless, golden, ruthenium och iridescent finishing which gives the ecochrome process the possibilities to a wide scope of applications in the decorative field. Specialists in surface treatment with a strong focus on plastic and composite . Paint spraying in Sweden and Hungary. Total number of employees : about 120. We have many small , medium and large customers in many industries , including the automotive sector , consumer electronics , appliances, furniture, medical technology and furnishings.